Black bridesmaid dresses is becoming an increasingly popular choice for weddings. The colour black is the best colour for slimming purposes, not only that the bride gets to stand out with her white gown against the black bridesmaid dresses in photos. 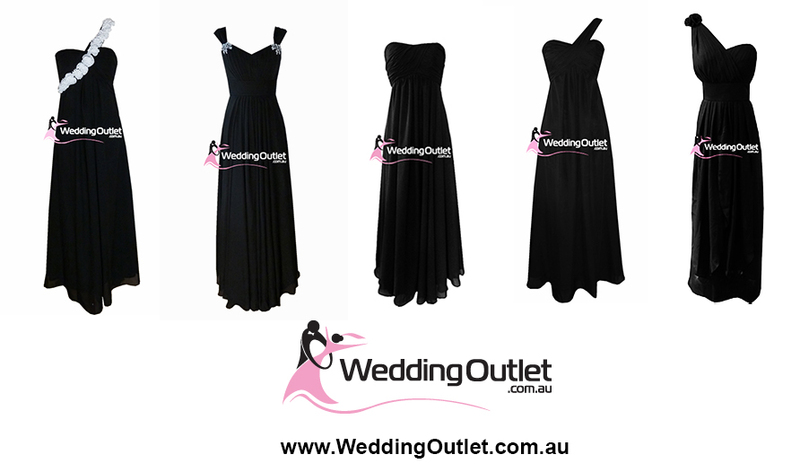 At the WeddingOutlet.com.au we sell all types of black bridesmaid dresses. We sell several styles that are double sleeves like the AK101 and A1029, double sleeves are great for hiding some of the shoulder area on the body. Also great for breast feeding bridesmaids because we can also make the sleeves detachable upon special request. 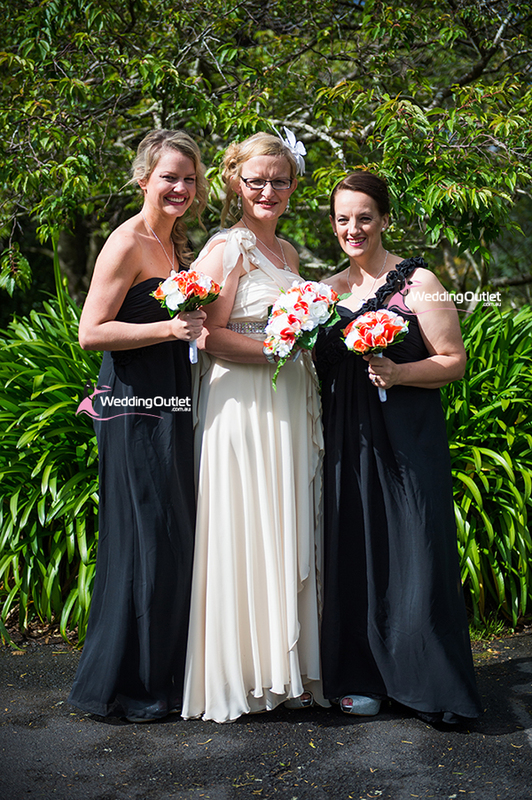 We also sell strapless black bridesmaid dresses, these are great for a simple look. Nice when the bride is also wearing a strapless wedding gown so the style matches. All our dresses can come in maxi or short length, any of the styles can be shortened upon request. The styles like C104 and A1029 have a bit of jewel on the sleeves, the decoration adds a bit of bling to the wedding. The jewels can be made without it on as well if you mention you don’t want it in your order.